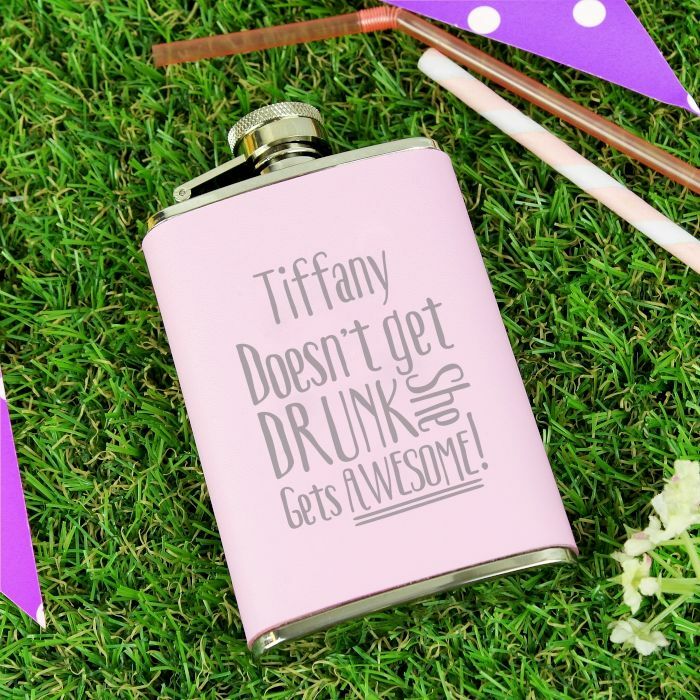 You can personalise either of these hip flasks with a name up to 12 characters in length. 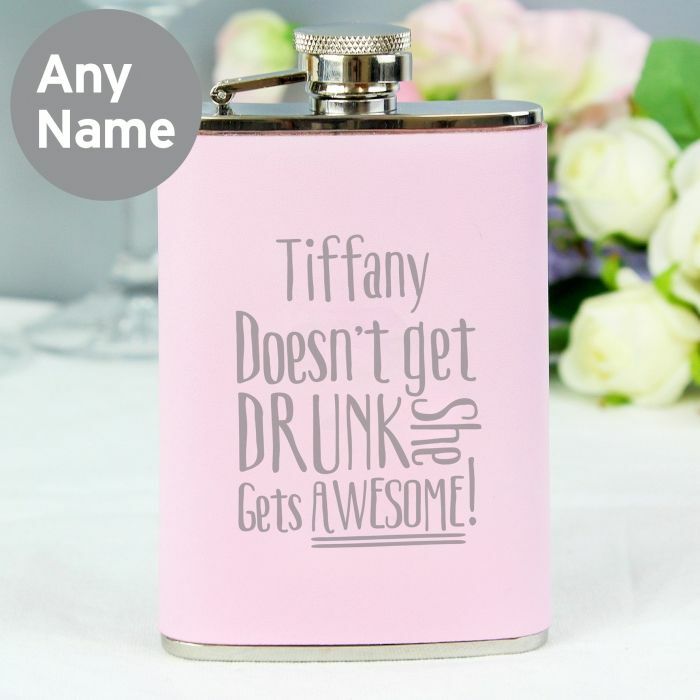 The personalisation is case sensitive and will appear as entered. 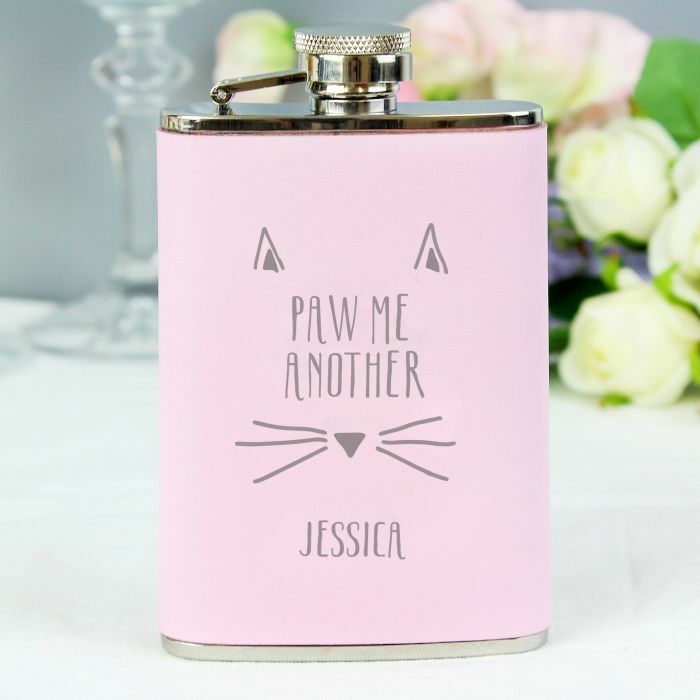 <NAME> 'PAW ME ANOTHER' and the graphic is fixed and cannot be amended. 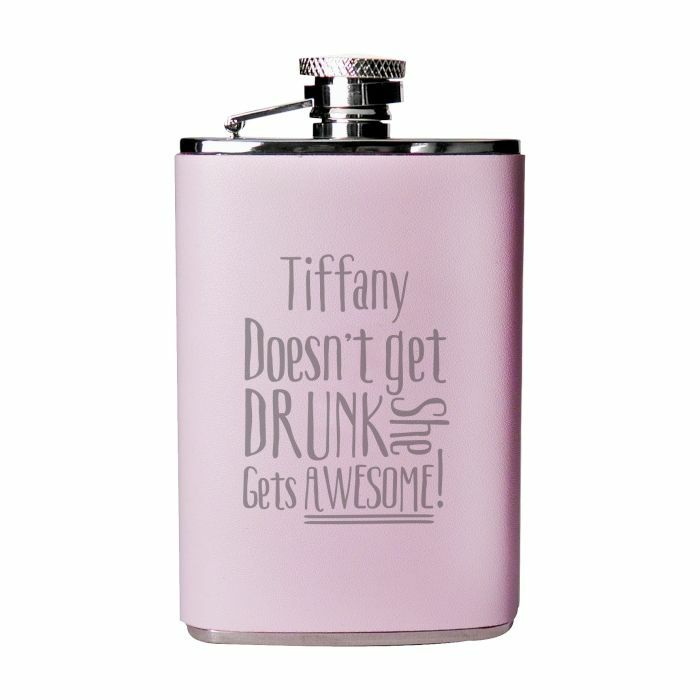 These Hip Flasks come presented in a gift box. 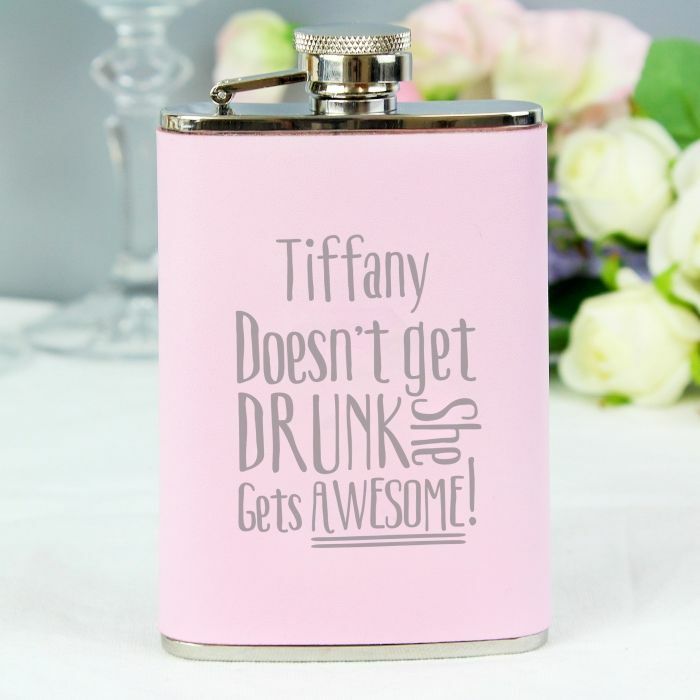 Steel is the material for an 11th Wedding Anniversary and one of these Hipflasks would make the perfect gift!